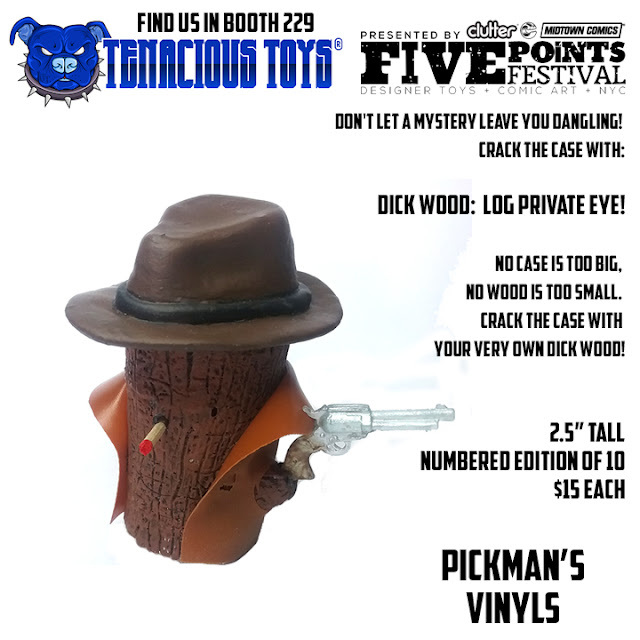 Suckadelic has a few new bootlegs available this weekend at Five Points Festival. 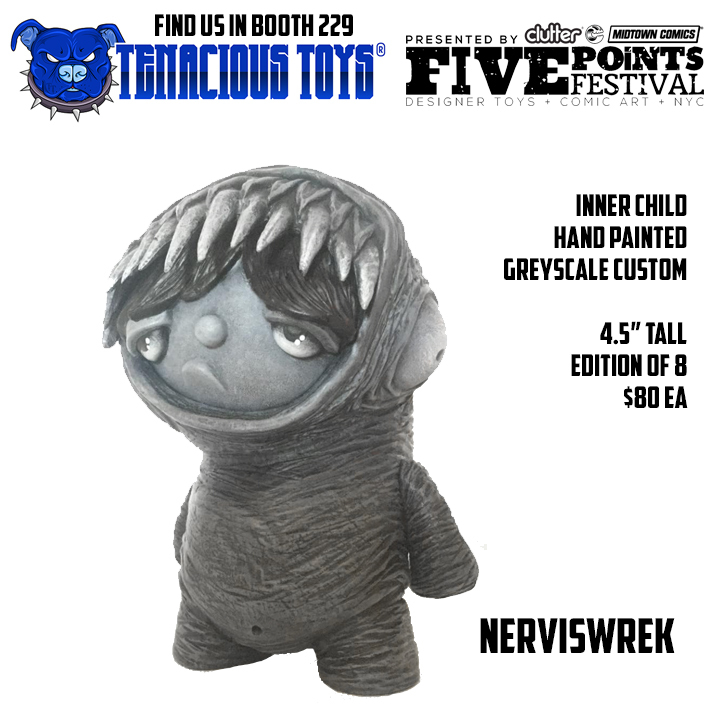 Pick up a Manischewitz figure or a Teenage Bad Girl figure and meet the Teenage Bad Girl herself, Meg Spectre. 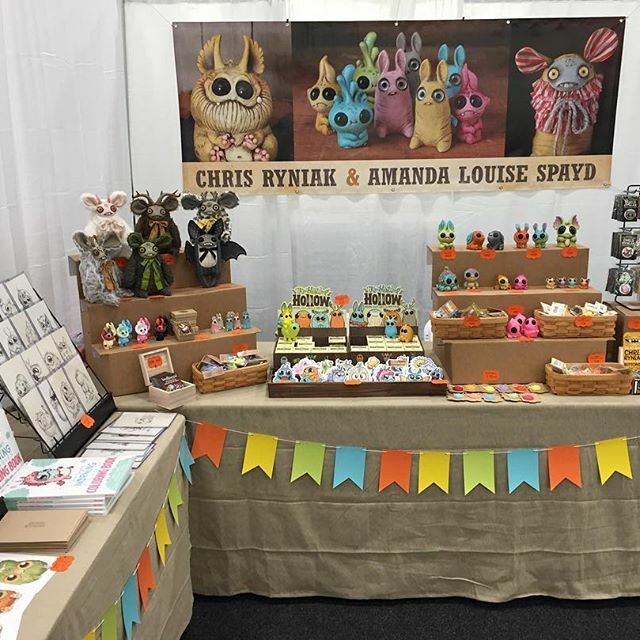 Chris Ryniak and Amanda Louise Spayd have a lot of custom figures available this weekend at the Toysrevil booth # 247 this weekend at Five Points Festival. RX Seven debuts his new 20" Dunny at the Martian Toys booth #123 this weekend at Five Points Festival. 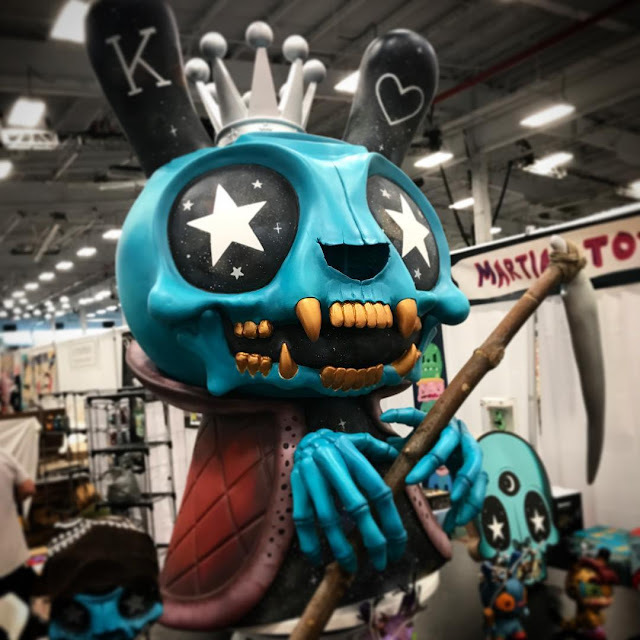 Stop by and check out this killer piece and pick up some of his work. 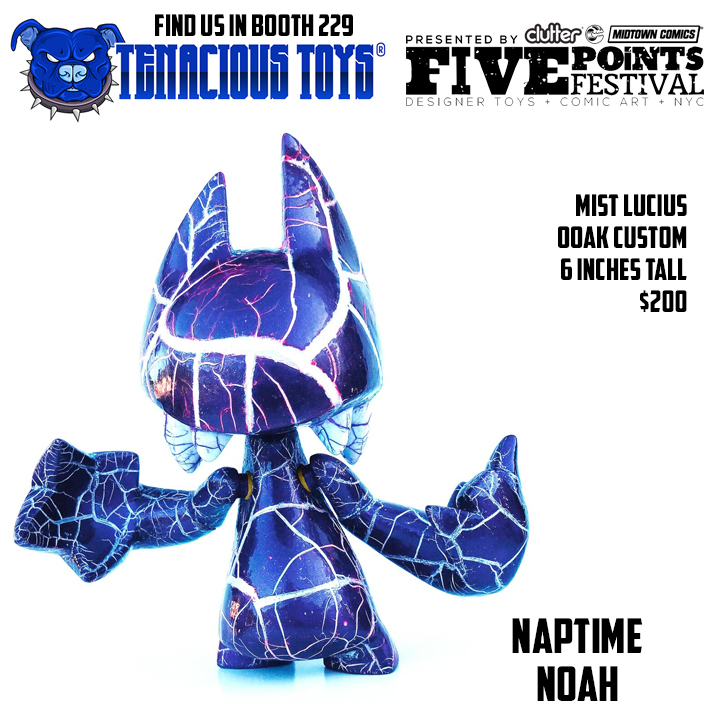 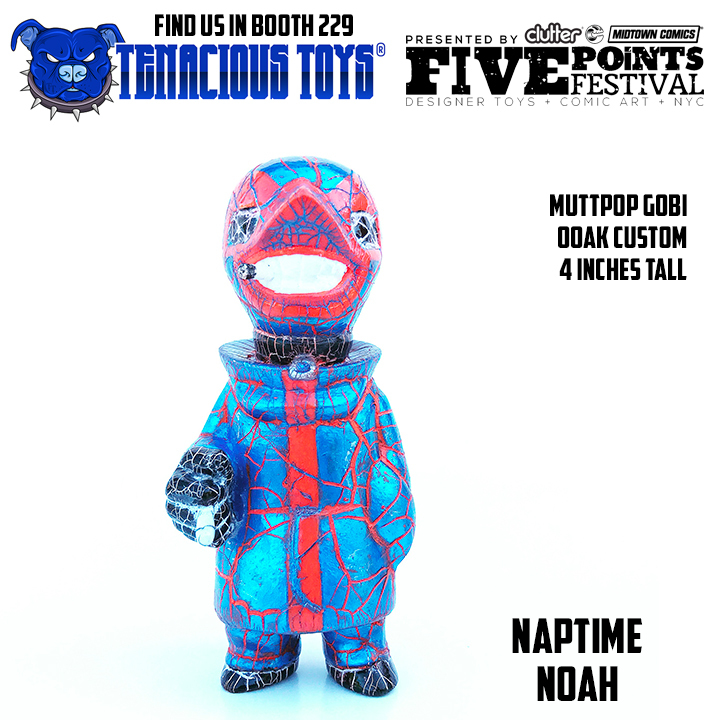 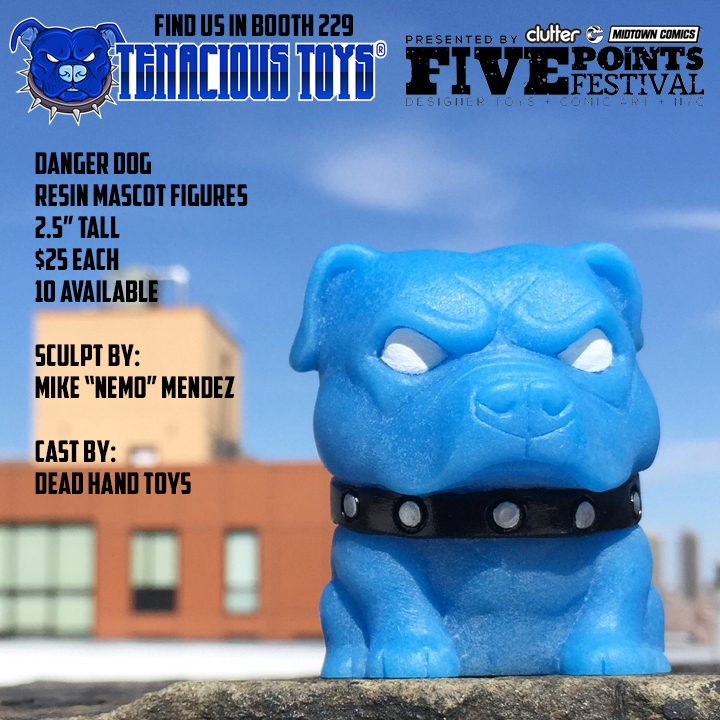 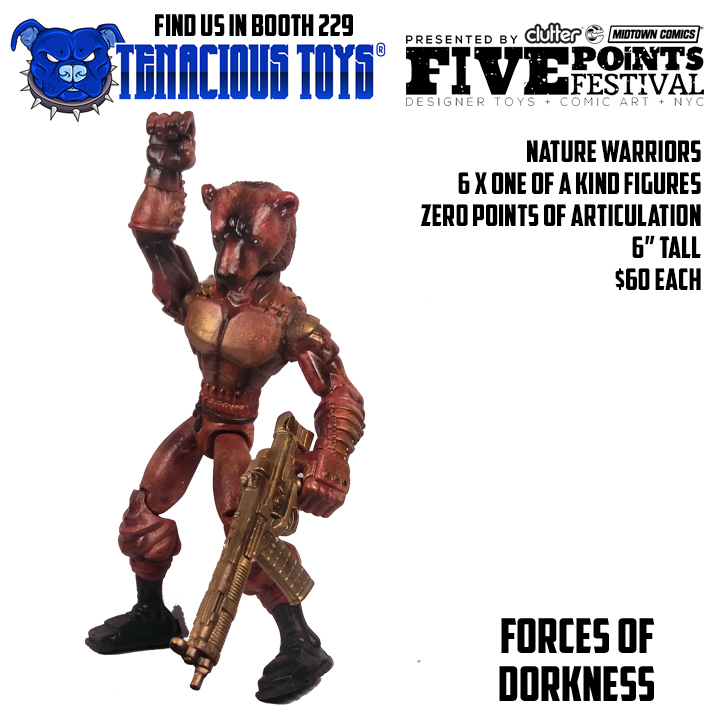 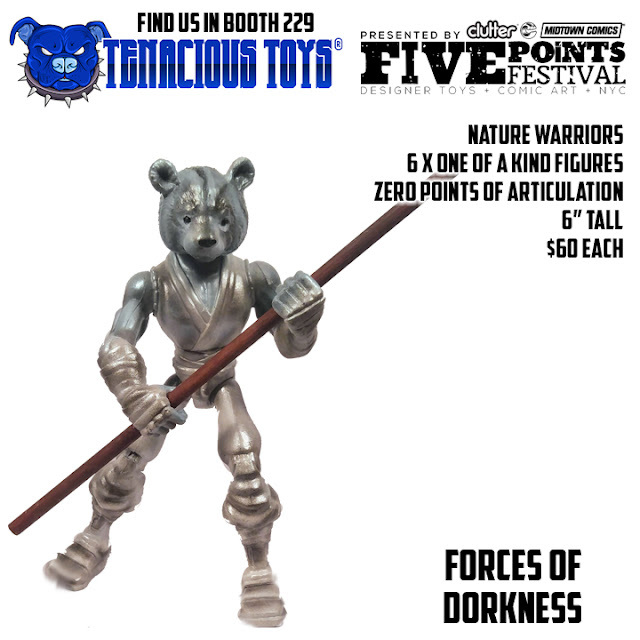 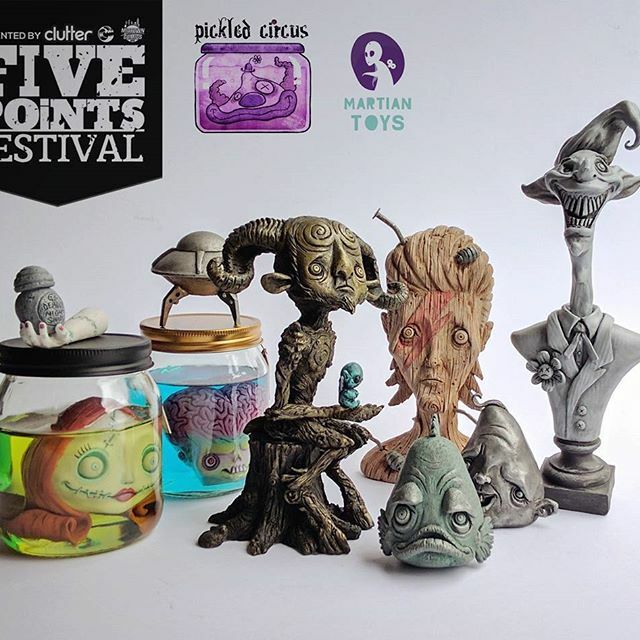 Pickled Circus has crossed the pond to offer some exclusive pieces at the Martian Toys booth #123 this weekend at the Five Points Festival. 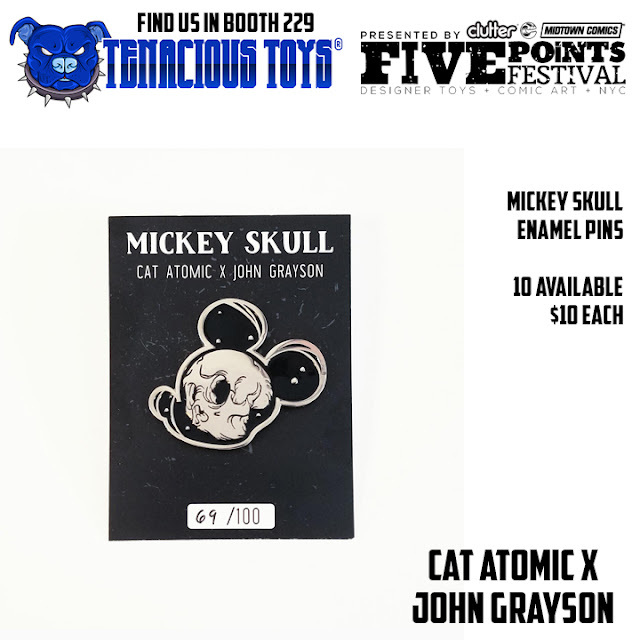 Pieces include Mr. Faun, Silverscreen Spooks, Halloween Heads and much more. 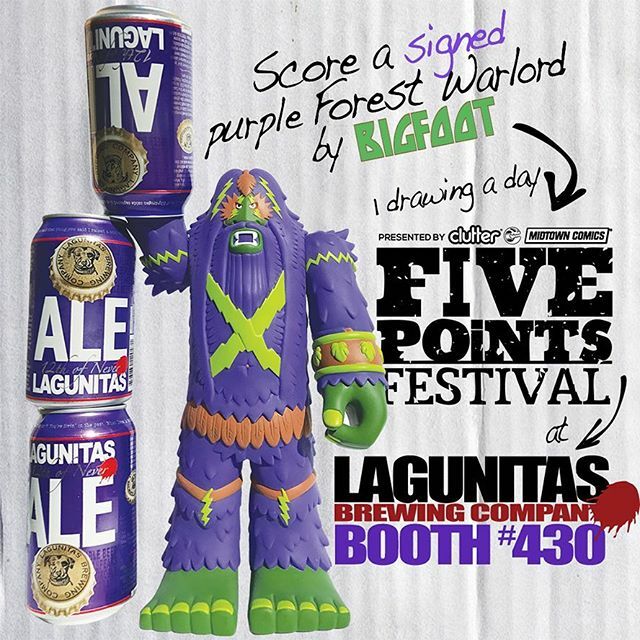 If you are out at the Five Points Festival this weekend make sure you stop by Lagunitas Brewing Company's booth #430 for a chance to win a signed copy of Bigfoot One's GrapeSkunkape. 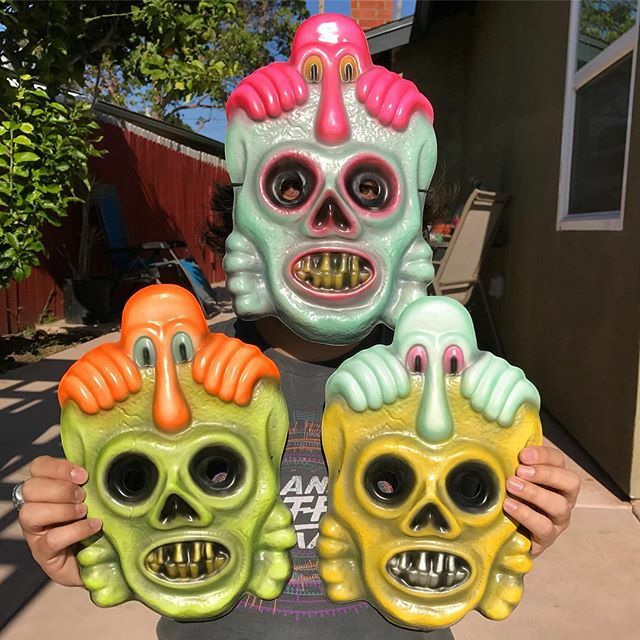 Live Rad Studios is debuting their brand new Killroy Masks at this weekends Five Points Festival. 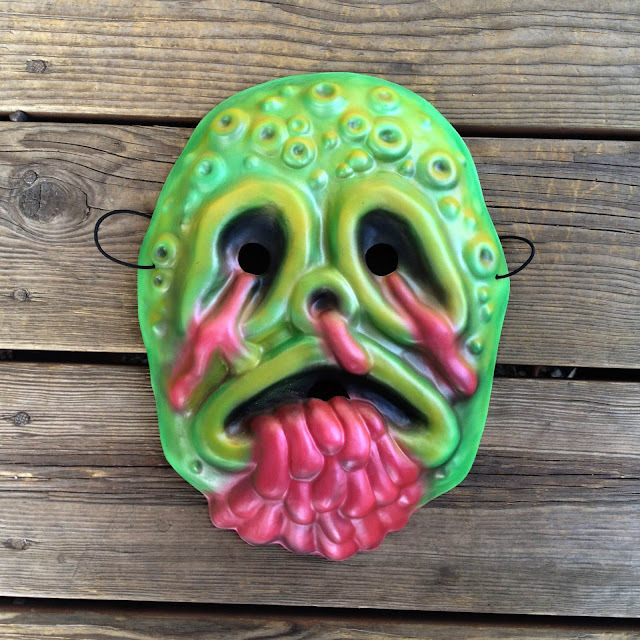 They will also have a fresh batch of Ooze It masks! Come check em at the GRAVY booth 354! Hidden Fortress's new 3" resin figure, BabyTEQ, will be available in limited quantities at Five Points Festival this weekend before being released online later this month. 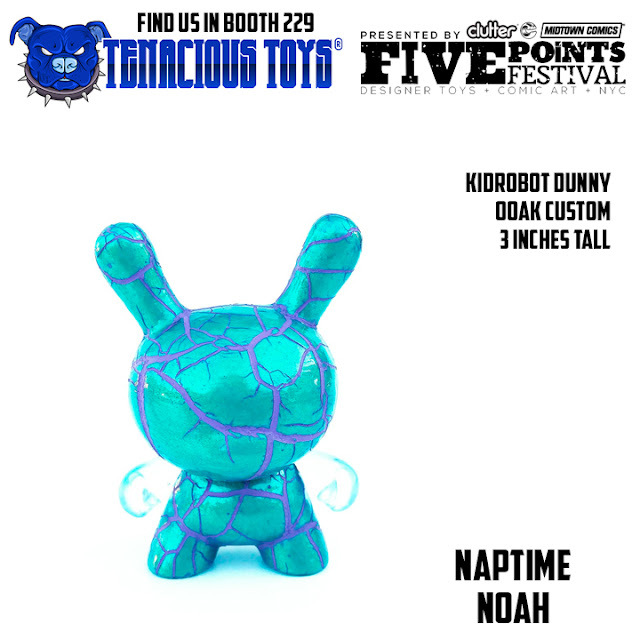 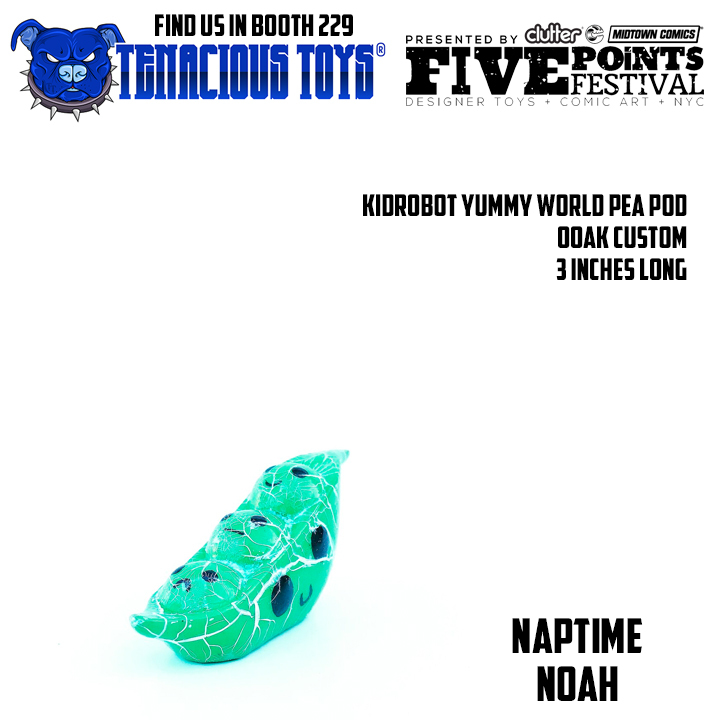 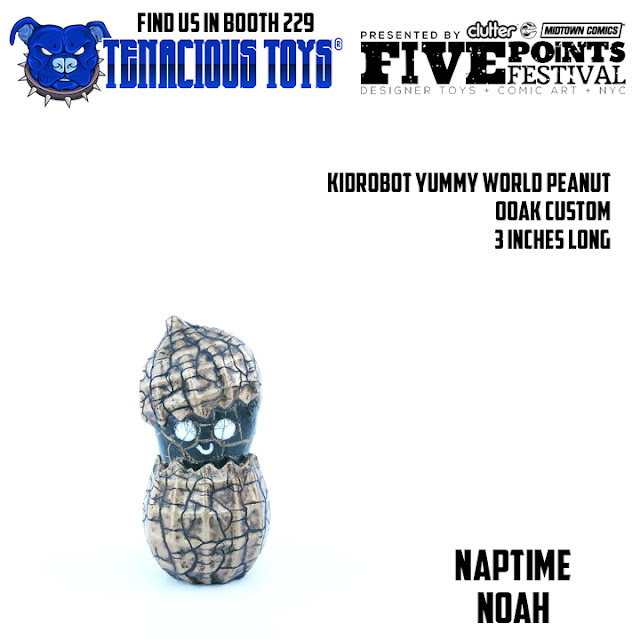 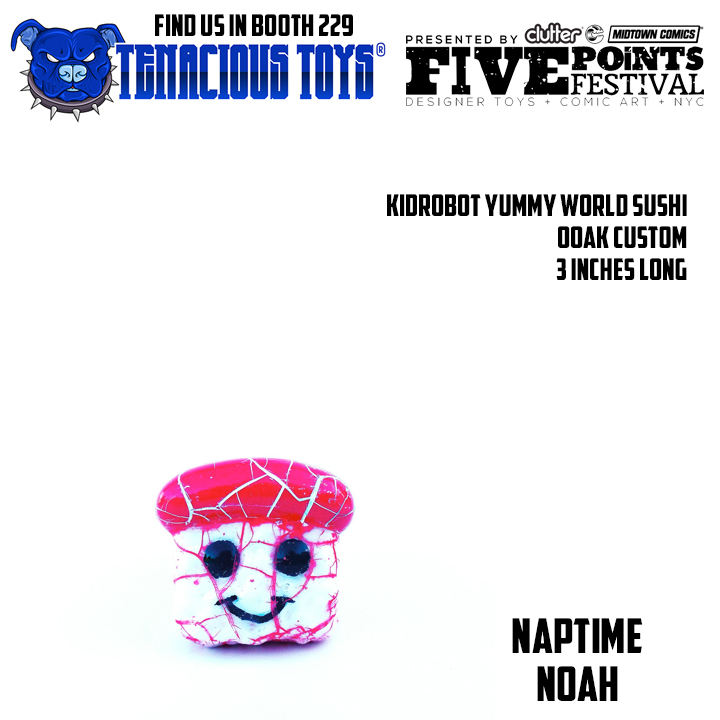 Check them out at the Martian Toys booth #123 and at the Clutter Magazine booth #234. 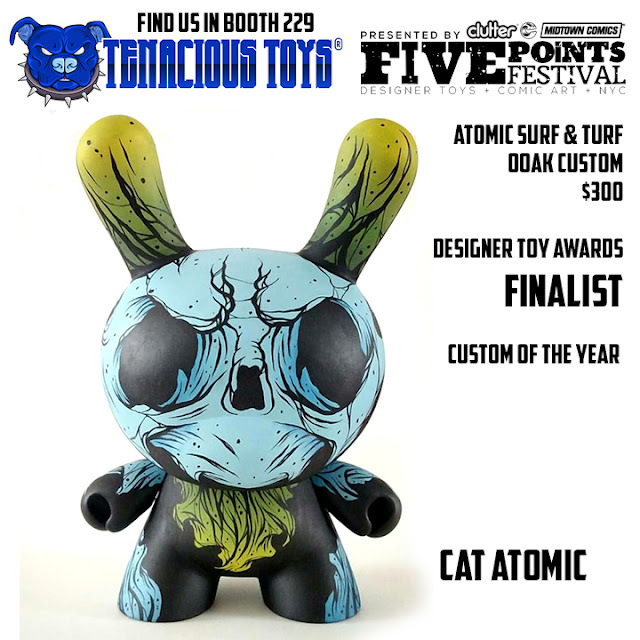 Back from a year off with lasers blasting! 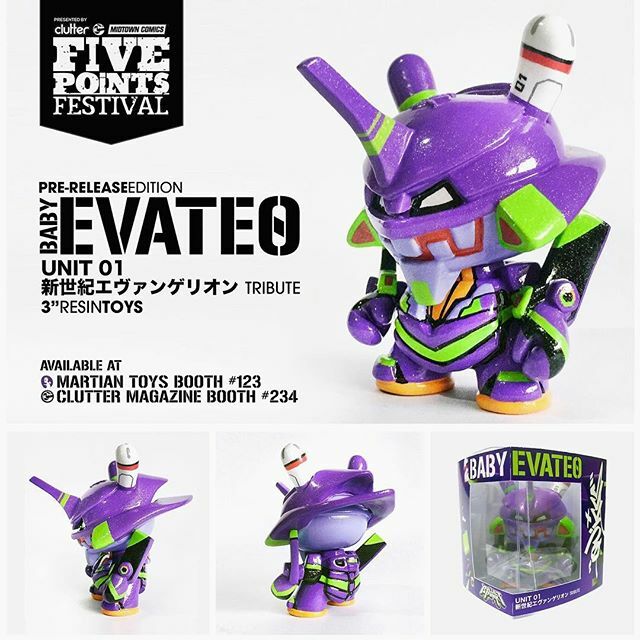 The Mark Ultra returns home to New York for clutter's inaugural five points festival! 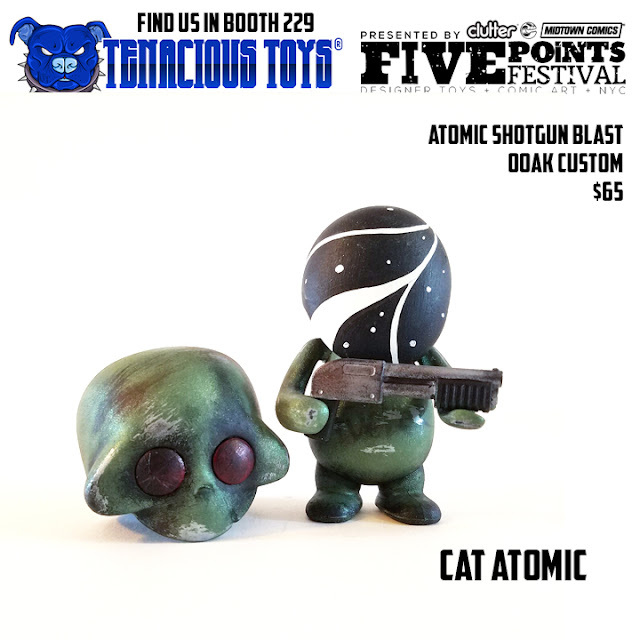 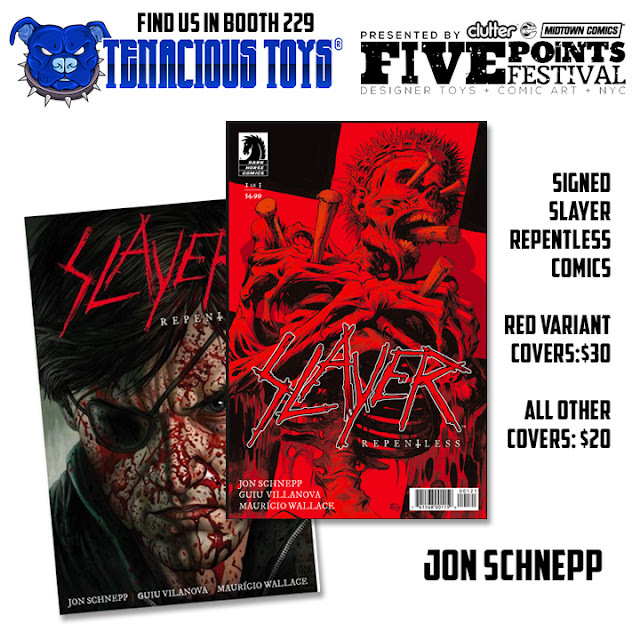 Landing at Booth 235 with Green Plastic Tunnels and Doom Toys, Mark Ultra has a lot of goodies for the festival. 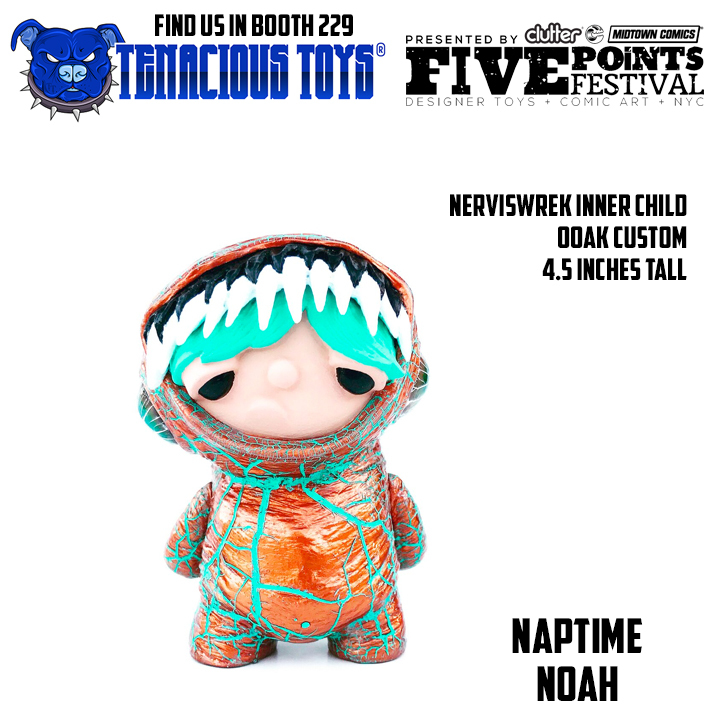 First up is the Space Pharaoh in urban pacification orange for 40$ each. 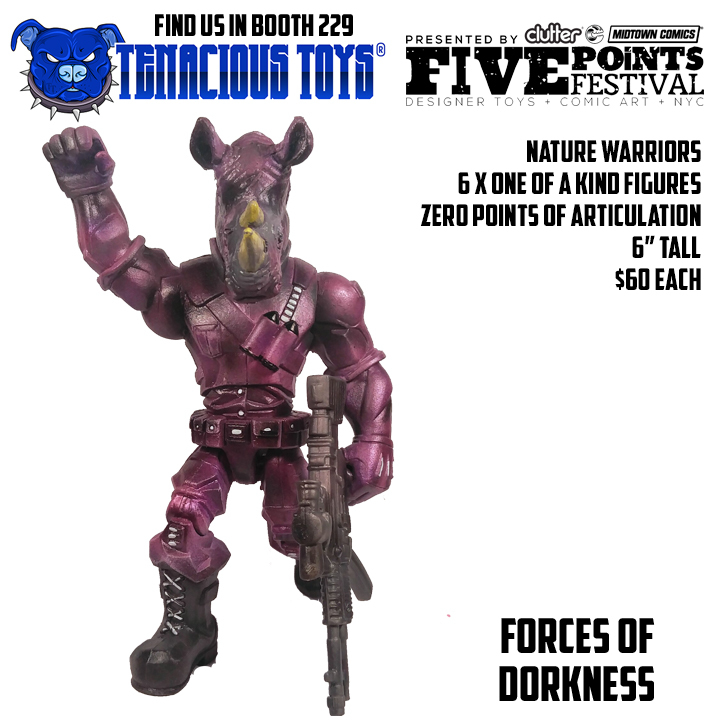 Next up we have the HVY PNZ in hazard yellow with plasma blaster for 40$ each. 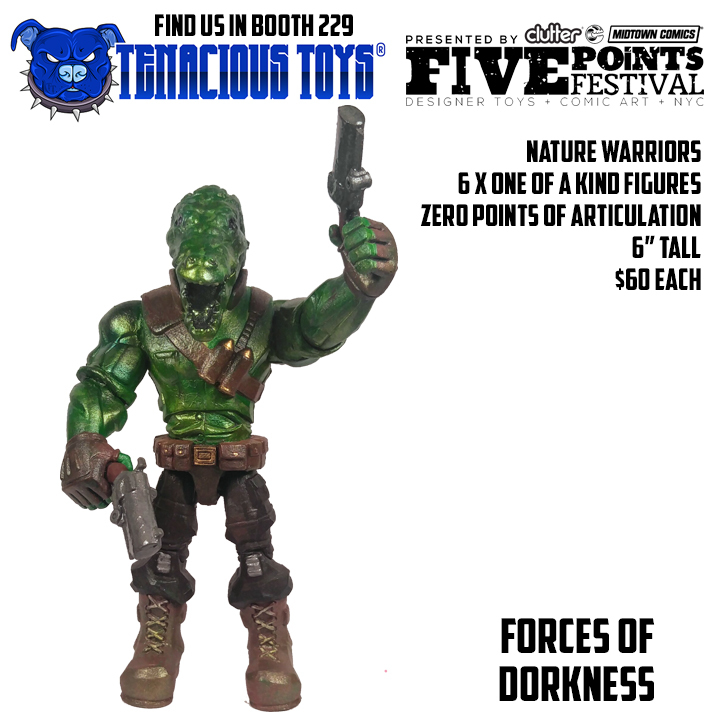 Ultra mini series returns for a blind assortment mini Space Pope figure for 5$ each in a pyramid box! Kasey (One-Eyed Girl) has a bunch of new pieces releasing this weekend at the Five Points Festival. The first new release are her Hatchies! 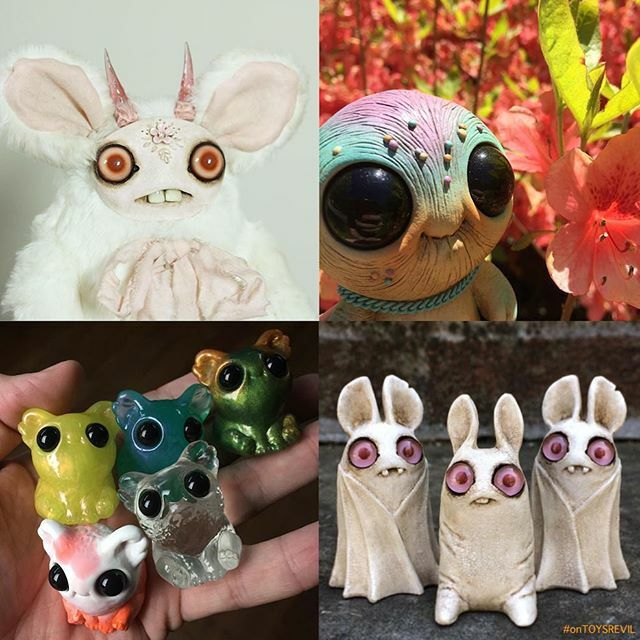 Each baby dragon is a Custom Lunartik Cup of Tea and there will be five to choose from: Water Dragon, Lizard Dragon, Furry Dragon, Alien Dragon and Flying Dragon - at $90 a piece. 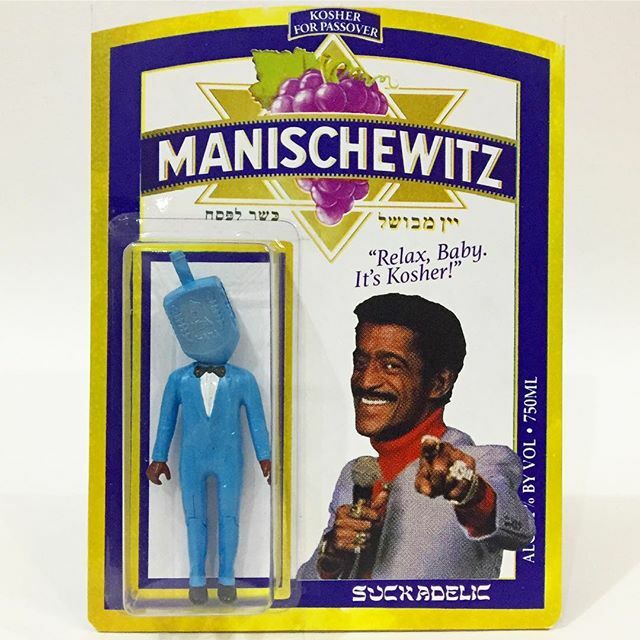 She'll also have a new batch of yummy Kritters and Kronies available, Cuppy Cako, Neapo Litan and Chip Chocko. 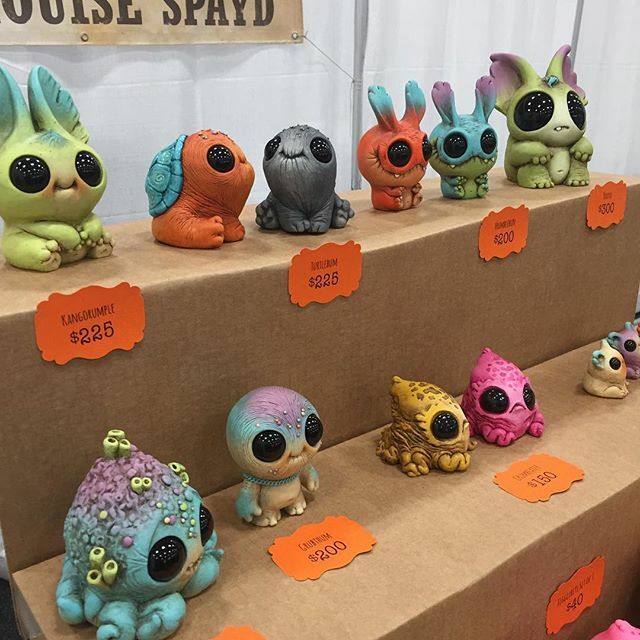 She'll also have a few more of these little guys featuring little popsicle, candy apple and macaroon friends going for $50 - $100 a piece. 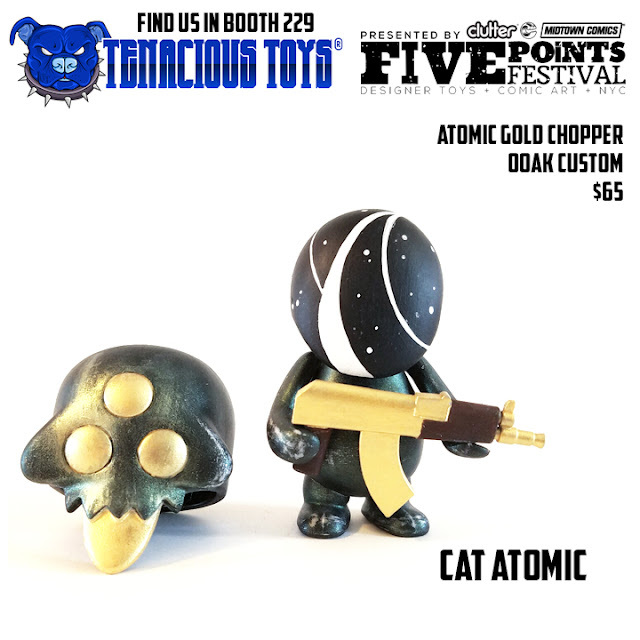 Along with these little guys she'll have tons of other original sculpts, custom toys, resins and 3D paintings all available at Booth #223! Check out her website and follow her on instagram and facebook. 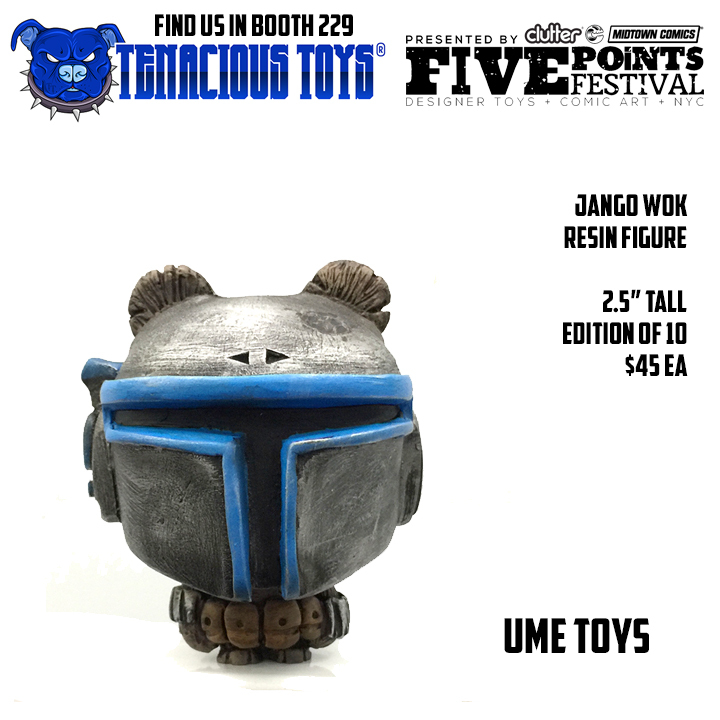 Coming to Disney parks, based on illustrations by Jerrod Maruyama. Find this little fellow at Booth 229 at Five Points Fest this weekend for $25 each! 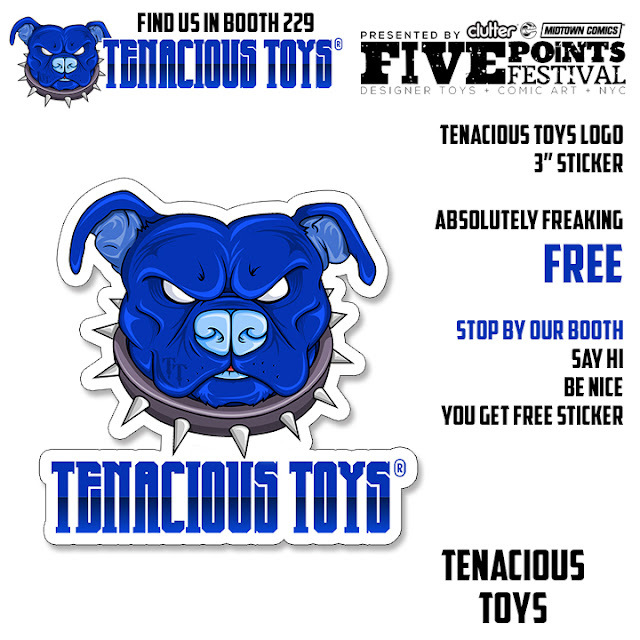 FREE Tenacious Toys stickers will be available for the price of a smile, handshake or a hello. 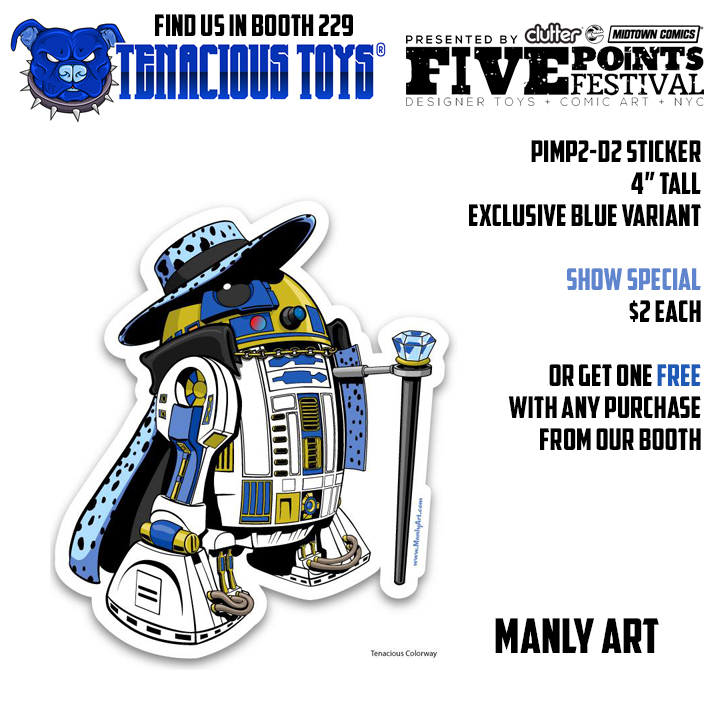 Manly Art Pimp2-D2 stickers will be a show special at $2 each, or FREE with any purchase. 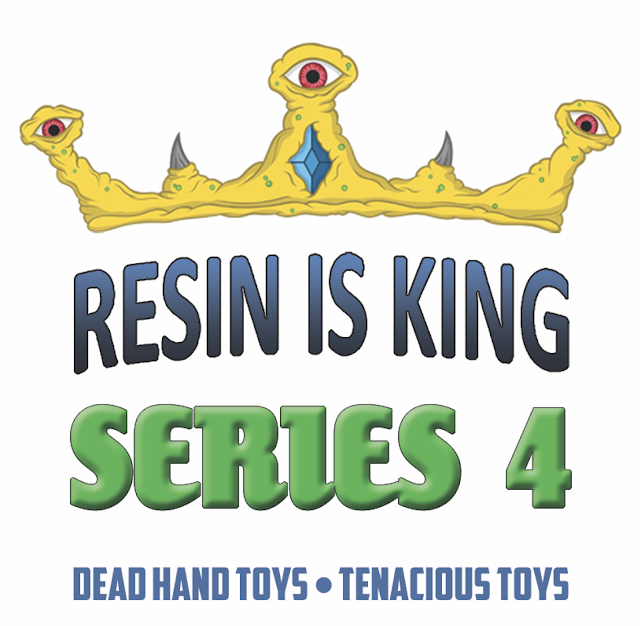 Booth 229 will also feature the debut of Resin Is King Series 4, an all-resin blind box series featuring the work of 11 talented resin artists. 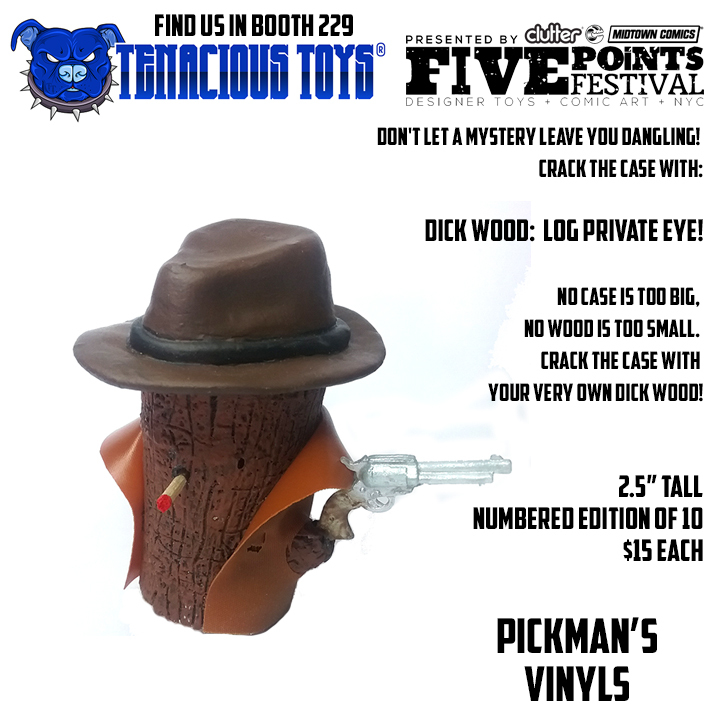 Full reveals of all pieces can be found here. Many of the artists will be on hand in person, including but not limited to: Cat Atomic, NEMO, Brian Ahlbeck, Jacob JAMS, Abe Lincoln Jr, Manly Art, Jason Freeny and more! One-Eyed Girl and Rampage Toys will be in their own booths nearby.